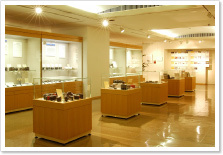 JCII Camera Museum is the museum that is managed and operated by Japan Camera Industry Institute. The museum opened in 1989, when camera was exempted from the export inspection, changing in direction of our business from inspection service to cultural service. 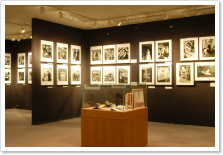 Affiliated facilities including JCII Photo Salon, JCII Club25, and JCII Library opened to promote photography and image culture by the exhibitions of cameras and photographs and the release of relating documents to the public. These facilities also contribute to the comprehensive progress of relating industries and camera users. JCII Camera Museum has a permanent exhibition of about 300 units of "Historical Cameras" that can reveal the historical development of camera in Japan. In addition to the permanent exhibition, the museum holds special exhibitions of cameras from worldwide exploring various themes and introduces the fascinate history of camera and its development. 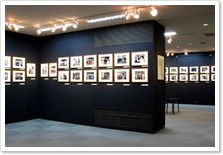 The mission of JCII Photo Salon is to spread and promote the history of the development of photography culture in Japan. Events are held once a month for the black and white documentary photography that should be shared with and passed down to future generations. In February and August of every year, JCII Photo Salon holds exhibitions in the purpose of introducing and displaying old photographs of Yokohama and others (mostly from the end of Edo period to Meiji period) from its house collection. 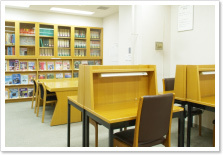 JCII Library is a specialty library for camera and photography. It houses books and magazines, and historically and academically valuable documents relating to camera and photography. These books and documents can be searched by using a computer provided at the library or by accessing from the JCII Camera Museum homepage. The mission of JCII Club25 is to promote the photography and image culture, and its gallery is rent out to the public for exhibiting photographs and paintings. Experienced curators can support you to hold high quality exhibition. 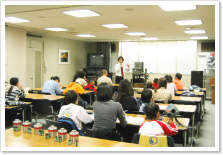 JCII Academy provides various photo clinics, seminars, and workshops. For example, "JCII Photo Clinic" which is instructed by renowned photographers, "JCII Digital Photo Clinic" for those who want to learn about digital photography, and "JCII Introductory course for black and white photo printing in the darkroom" and "Intermediate course for black and white photo printing in the darkroom" for those who want to learn about black and white photography. © Japan Camera Industry Institute All right reserved.